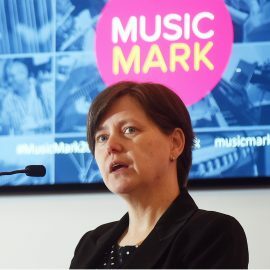 Bridget was appointed CEO of Music Mark in July 2017 after having worked as a consultant in music education for over 15 years. She started her career working for the Arts Council in the South East before moving to London to work for the Orchestra of the Age of Enlightenment and the Royal Academy of Music. 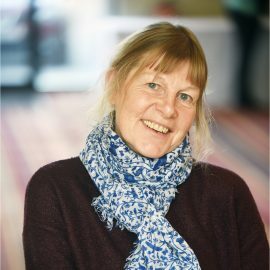 In 1995 she went freelance and apart from a brief return to employment from‘97 to ‘99 – as Administrator at Surrey Arts – she worked as a consultant for over 20 years prior to taking up this role. Clients included Youth Music, various music services and hubs, and she worked for the Music Manifesto and subsequently the Department for Education (DfE) to set up and support the National Singing Programme – Sing Up. Bridget is also part of the DfE’s national working group on the Model Music Curriculum. More recently she was an Associate Lecturer in the Music Department at Surrey University for four years and managed MusicNet East for a year covering for the manager whilst they were on sick leave. Her last key freelance role was as Strategic Advisor for the British Council’s World Voice Programme, setting up singing programmes in over 20 countries around the globe. 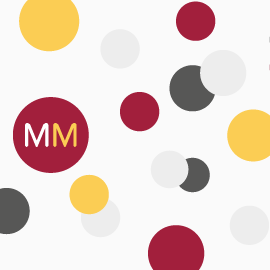 Stephanie Kennedy has recently joined the Music Mark team as Communications and Marketing Manager. 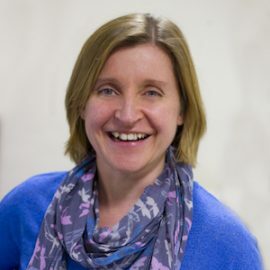 She is responsible for the communications strategy of the charity, ensuring the appropriate level of visibility and recognition for the Music Mark brand and messaging to members and the wider sector. As well as exploring press and PR opportunities, she will also assist in Lobbying planning and delivery. Stephanie is a former journalist and spent 7 years living and working in Venezuela, Brazil and Colombia. She undertook numerous research projects, including an investigation into issues of ethnicity and gender in indigenous communities of the Amazon before moving to Caracas to help set up communitarian media projects with children living in city slums. Since returning to the UK, she has focused on developing communications in the arts and education sector. As an avid consumer of the arts herself, Stephanie believes all children should have access to a rounded education and a creative curriculum, having seen first-hand how the arts can have a real impact on the lives of young people. Rosie’s main roles are to service Music Mark’s membership on a day-to-day basis including coordinating the renewal process; to be responsible for the day-to-day running and administration of the office; managing, with the team, the development and delivery of the Music Mark Annual Conference, events and training, and to support the Chief Executive in her role and contribute to the continuing development of Music Mark as a strategic lead organisation across the music education sector. Rosie’s professional background combines her interest in Education and Music. 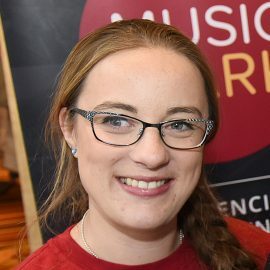 After finishing her Music degree, she worked as a Primary Teaching Assistant for a year, before deciding to make a small career change into the Music Education Sector. She took up the position of Marketing and Fundraising Manager at Berkshire Maestros for a year before moving across to one of the Music Centres as Music Centre Manager. After nearly 3 years of running a vibrant centre for young musicians, she made the move to Music Mark to further her career in the Music Education Sector. Jennifer was raised in Huddersfield and joined the Huddersfield Choral Society Youth Choir at a young age. She participated in music festivals across the region from the age of 10 and whilst studying at the Royal Welsh College of Music and Drama, won the prestigious Kirklees Young Musician of the Year. Jennifer graduated with distinction in 1997 and went onto post-graduate study (PGDipRCM) at the Royal College of Music where she won the Arthur Bliss prize for singing. Jennifer completed her PGCE (Secondary Music) at Goldsmiths College and taught secondary music in London, culminating in Advanced Skills Teacher (AST) status in 2002. 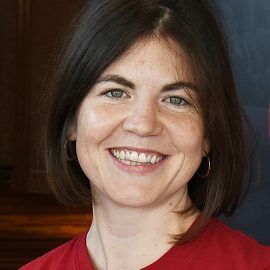 Jennifer led the Hammersmith and Fulham Music Service for 6 years before embarking on her current role in 2007 as Head of Lincolnshire Music Service (LMS). LMS is also the lead organisation of the Lincolnshire Music Education Hub which consists of around 25 partners united to achieve the very best musical provision for Lincolnshire children and young people. 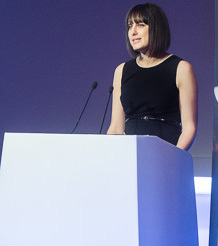 Jennifer is delighted to represent MEHEM and took up this role in 2016. Whilst not at work, Jennifer enjoys fitness and ran the London Marathon in 2015! 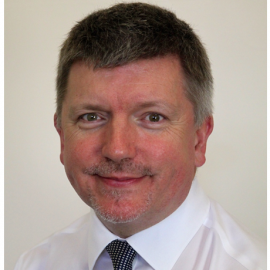 Paul is the Director of Buckinghamshire Music Trust and has been in this role since October 2014. Before that he spent 23 years in secondary education in various North London boroughs, starting as a music teacher and finishing as headteacher. He continues to play occasionally as a horn player and pianist and to create music as a composer and arranger. After graduating from Goldsmith’s College with a degree in Popular Music Studies, Charly spent years as both a professional saxophonist touring Europe with various bands, and a primary music and drama teacher. He also ran the music department at Hoxton Hall Youth Arts Centre, delivering creative music and band workshops to young people in challenging circumstances, and oversaw the Youth Music Mentors programme. He designed and delivered CPD courses aimed at inspiring generalist primary teachers to deliver the music curriculum creatively. After moving to Essex Charly became Regional CPD & Training Manager for Charanga, travelling the East of England on a mission to improve primary music provision. He also worked with a range of partners as a Project Manager for Essex Music Education Hub, and led a significant needs analysis and conference looking at music in special schools across three Hubs, an interest which continues to this day. In August 2014, Charly took the position of Lead Officer of Essex Music Services, leading the transformation of one of the biggest Hubs in England. Essex has made great progress in areas such as music technology, SEND music, inclusion and an innovative programme of school improvement, CPD and curriculum support. Richard has been the head of Salford Music and Performing Arts Service (MAPAS) since 2001 and before that had a successful career as a secondary school music teacher. A strong believer in partnerships Richard has worked with many organisations across the country to further the development of music education. This has included extensive work with the BBC Philharmonic Orchestra and the Halle Orchestra in Manchester. 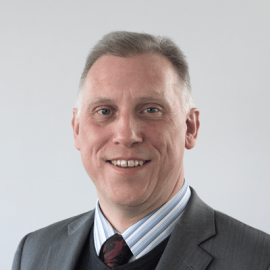 A graduate of Salford University, Richard has forged links with the university and MAPAS. These partnerships have helped develop the greater Manchester music hub, the largest music education hub in the country which is at the cutting edge of music education development. Ian is an experienced music educator and conductor who believes that all young people should be given the opportunity to excel as musicians. Before becoming Head of Music Education his portfolio career included working extensively as a cello teacher, Head of Sheffield Music School, freelance cellist and orchestral director. Ian is a multi-award winning director of youth orchestras. With the City of Sheffield Senior Orchestra and the Peak District String Orchestra he has won the Classic FM String and Chamber Orchestra award (2009), the ABRSM Youth Orchestra of the Year award (2011) and most recently the Innovation Awards at the National Festival of Music for Youth in 2014 and 2015. In November 2016 Ian made his conducting début at the Schools Prom at the Royal Albert Hall in London. Ian has also conducted Derbyshire County Youth Orchestra, Sheffield Symphonic Strings and orchestras at the Universities of Manchester and Sheffield. He holds a Masters in Conducting, from the University of Sheffield and studied the cello at the University of Manchester. 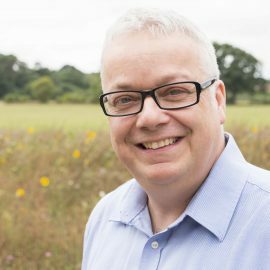 Gary has been head of Havering Music School since 2012, following 13 years managing peripatetic tutors for Essex Music Services. He is a proud graduate of the first cohort of Rising with the Tide. Away from work, Gary sings in several small vocal ensembles and performs solo in north London, Essex and Suffolk. 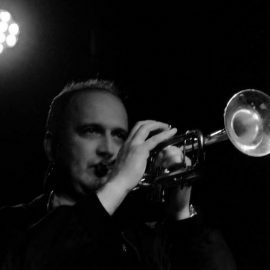 After a short career in academia as a Cold War historian, Dan Somogyi has worked in the music sector since 1999, first at Jazzeast, the jazz/world music development agency for the East of England, then at SoundStorm, the award-winning music education agency based in Bournemouth in the South West. Dan set up SoundStorm with the late, great jazz drummer Steve Harris in 2002. SoundStorm’s mission was to shake up the music education offer in the Bournemouth/Poole conurbation, with a particular emphasis upon inclusion and contemporary music genres. SoundStorm also supported and established community cultural initiatives, including Bournemouth Modern Jazz Club, Club du Monde world music club, Safehouse Musicians’ Collective, Boscombe Arts Festival and more. SoundStorm’s education projects rapidly gained a reputation for innovation and quality, and in 2012, the agency became Bournemouth and Poole’s chosen lead partner for the conurbation’s Music Education Hubs, at the same time taking Wave Arts Education Agency under its wing. It has since 3 times won the Major Trophy at the Music Education Council Awards. In April 2019, the Hub expanded to take on Christchurch schools. Away from SoundStorm, Dan sits on a number of UK music advisory committees and co-wrote the Jazz Services/Arts Council published “Guide for Music Promoters”. Dan has since 2013 chaired the WOMEX World Music Education Network, in Santiago de Compostela, Budapest, Katowice and Las Palmas. He has also programmed music festivals, concert series and, since 2010, the Studio Jazz series for Lighthouse, Poole’s Centre for the Arts, the largest multi-arts centre in the UK outside London. Dan is also a musician himself, playing for the acclaimed African/world jazz fusion band, Thokozile; and the English-Scottish Gaelic collaboration, Far Flung Collective. The latter’s debut album, Far Flung Corners, was launched at Celtic Connections 2017 and received rave reviews, Songlines describing it as ‘….a truly beautiful piece of work … a beguiling, gorgeous and delightful release’. Chris started his musical journey with Bradford Music Service before studying at Leeds College of Music and then settling in the West Midlands. His career in education started as a secondary school music teacher and became part of the Advice and Inspection team within Dudley Local Authority before joining Dudley Performing Arts at the turn of the century. Chris first attended a regional West Midlands Music Mark meeting (then FMS) in 1998 and became a staunch supporter of collaborative working between local music services/hubs whilst working on the Music Service Self Evaluation scheme with various services from across the country. James Dickinson grew up in Hull, beginning to play the French horn with the Hull Music Service at the age of 9. At 12 he moved to Huntingdon and played in Cambridgeshire County Youth Orchestra, National Youth Orchestra and attended the Junior Department of the RCM. He read music at Oxford University (Lady Margaret Hall) and then worked as an orchestral manager for both CCYO and NYO and subsequently taught brass. After a spell as a mastering studio manager he left music and became marketing manager of two IT companies before becoming Projects & Activities Manager for Hertfordshire Music Service in 2003. 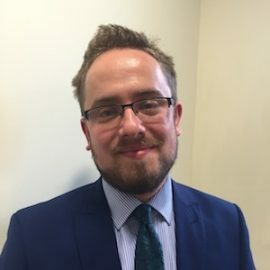 He succeeded John Witchell as Head of Hertfordshire Music Service in 2007 and then in October 2018, life came full circle when James succeeded Chris Maynard as Head of Hull Music Service, Lead Partner for Hull Music Hub. James was FMS then Music Mark Eastern Regional Convenor 2012-16. 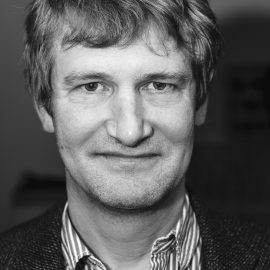 He was elected as a Music Mark trustee in 2016 and succeeded Graham Smith as Chair in 2017. He played solo horn with Amersham Band until his move north. 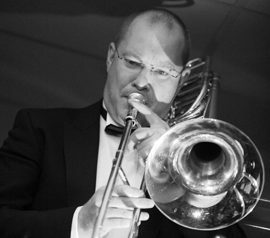 David Little studied Bass Trombone and conducting at the University of Huddersfield with Leslie Storey and Neville Roberts (Halle) before commencing his work with Wigan Music Service in 1996. Starting with a beginner ensemble of just four cornet players, David led the development of Wigan’s brass department which now operates three full size brass bands and provides young brass musicians for the Wigan Youth Jazz Orchestra, its jazz training ensembles and the Wigan Youth Symphony Orchestra. Many of David’s pupils have gone on to studying at Conservatoire level and some are now in-demand ‘name’ players in the professional performance arena. David is now Head of Music Service for Wigan Council and takes a prominent role in the management and operations of the Greater Manchester Music Hub. David still finds time to direct the award winning Wigan Youth Brass Band and since 2011 the famous Wigan Youth Jazz Orchestra. David continues to work as a freelance bass trombonist and his career has included appearances with James Morrison, Bill Watrous, Bobby Shew, Pete and Conti Condoli, Gordon Goodwin, Eric Marienthal and Wayne Bergeron. 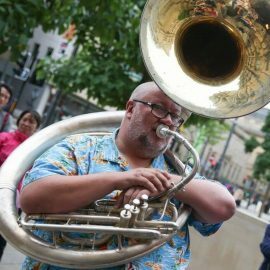 David has worked regularly with many of the UK’s touring big bands and now enjoys working closer to home with the Lancashire based Intrada Brass Ensemble. Kerry is the Head of Luton Music Service but has been working as a singing and choral specialist with the service for the past 18 years. She grew up in Bedfordshire, working in advertising before retraining as a primary school teacher with music specialism 25 years ago. Kerry is passionate about the power of music to transform the lives of children and as a means of improving results in schools. Kerry is the Director of Luton Youth Cantores, a 60-strong choir from Luton, and has worked with Bedfordshire Youth Opera as vocal coach and chorus director. Yogesh is responsible for the strategic leadership of the Ealing Music Service and the Music Education Hub for Ealing and the development of effective and sustainable partnerships with a range of providers for the benefit of children and young people in Ealing. His previous roles include over 20 years of teaching music in a range of contexts, including instrumental provision in schools, local authority music services & community organisations and management of an all through school-based music department. 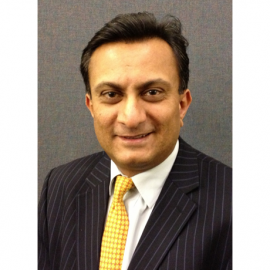 Yogesh has been a Governor at 2 primary schools and is currently Vice President for Education at Watford Speakers, a local Toastmasters International club which supports members to become better speakers and leaders. Yogesh has developed teaching strategies and resources for the teaching and learning of Indian music, which combine the very best of current pedagogical methods to keep children motivated whilst making sound progress from the start. Colleagues in the UK and Europe have benefitted from Yogesh’s workshops at national events, such as Federation of Music Services, National Association of Music Educators and Music Mark annual conferences, as well as bespoke training for music service staff in Hammersmith & Fulham, Southampton, Wiltshire, Harrow, Milton Keynes and Leicestershire. Areas of expertise: music service leadership & management, partnership development, change management, South Asian music and fundraising. 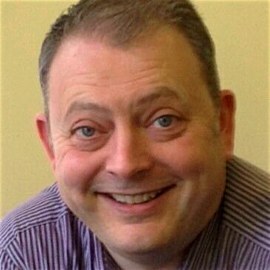 Peter Smalley is the Chief Executive Officer of the Northampton Music and Performing Arts Trust, an independent charitable company which fulfils the functions of the former Local Authority Music Service and leads the Northamptonshire Music Education Hub and Rutland Music Education Hub. Trained at the University of Birmingham, he has had a lifetime of experience in music education, initially in the classroom and then as an instrumental teacher for Staffordshire. In 1993 he moved to Northamptonshire as Head of Brass, serving for 19 years as one of the deputies to Peter Dunkley. In 2012 he became the CEO of the new charity. Originally a trumpet player, he has experience as a performer, arranger and composer but more recently has focused on conducting. Since 2000 he has been the musical director of the Northamptonshire County Youth Concert Band appearing with them on many national and international stages. As a teacher he has worked on the development of brass pedagogy on a local and national scale: developing local schemes of work, teaching and assessment materials, contributing to the development of major teaching schemes, publications and examination syllabi, as well as being a member of the original Common Approach brass team. Following my music degree at London University, and a PGCE with Janet Ritterman, I started teaching in Deptford and Blackheath within a large and vibrant music department. The ILEA was generous in its provision of workshops and CPD and most weekends I attended courses and workshops with for example, John Paynter, David Aspin, the LSO, Gillian Moore, National Art Galleries and many other leaders in their field. By 1983 I was leading my own department in Tower Hamlets and was the last appointed ILEA music coordinator in Dec 1987, supporting music education in Hackney, Tower Hamlets and Islington. When the Authority was abolished in 1989 I was appointed Music Adviser in the London Borough of Sutton. An MA in Education Management led to my appointment as Centre Manager and Professional Development adviser for Barking and Dagenham in 1992. This started a brief period during which I trained as an Ofsted inspector and joined the advisory team as the music advisor and inspector, before my appointment as Director of Continuing Education for Trinity College of Music in 1998. We designed and successfully taught a series of professional development certificates validated by Trinity’s Examination Board, that culminated in an MA course for Musicians and Teachers. Our course included members of the Bournemouth Symphony Orchestra, the Northern Sinfonia, Liverpool Philharmonic and BBC in Manchester, along with UK and international students. The college and its education courses closed in 2000 and I continued to work in music education with QCA, CfBT (1996 – 2001) and with the publishers A&C Black. In 2001, I joined Norfolk Music Service and subsequently became head of its Music Education Hub until 2016. Throughout this period, I continued to teach music and the PGCE course at UEA and played a full part in Music Mark as a regional representative and a period of chair of the national executive. I opened a CME course in 2014 and continue to teach the course for Norfolk Music Education hub. I am currently self-employed and studying how to research. 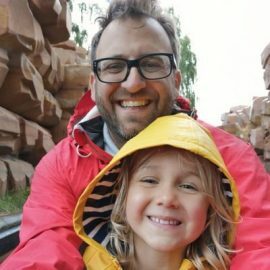 I would like to research into partnerships between musicians and music teachers. Abigail D’Amore is a freelance consultant and project manager with expertise in informal and non-formal pedagogies and practice as a means of increasing engagement and participation. Current client organisations include Surrey Arts, Nottingham City Music Service, Creative People and Places and The Music Path (Los Angeles). She was formerly Chief Executive of Musical Futures, which was recognised as one of the Finnish Hundred top global innovations in 2017. Abigail worked with Musical Futures since its inception as a Paul Hamlyn Foundation special initiative in 2004, initially as a research officer with Professor Lucy Green developing informal learning approaches to music learning in the classroom; national coordinator supporting the initial rollout and devising a national CPD programme; project leader determining MF’s strategic direction as an international grassroots movement; and finally leading the transition of Musical Futures from a project to an independent not-for-profit organisation. 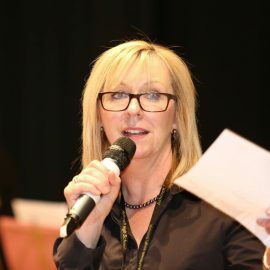 She has previously consulted with various UK-based organisations and programmes including INSPIRE Music, Youth Music, Hertfordshire Music Service and the Institute of Education as an evaluator, project manager, writer and editor, and has carried out strategic consultancy support to music education organisations in Australia, Canada, China and America. Publications include ‘Aspiring to Music Making as Leisure through the Musical Futures Classroom’ with Gareth Dylan Smith (in The Oxford Handbook of Music Making and Leisure, New York: Oxford University Press, Jan 2016) and ‘Challenging Symbolic Violence and Hegemony in Music Education through Contemporary Pedagogical Approaches’ with Gareth Dylan Smith and Bryan Powell (in Education 3-13, forthcoming). Abigail is a school governor of Hallow C of E Primary School (Worcestershire). She studied ethnomusicology, and is passionate about how music forms part of peoples’ lives. She likes a good tweet-off (@abigaildamore www.abigaildamore.com), and bashing out tunes on the piano. Professor Martin Fautley has a long history of research in the area of music education. 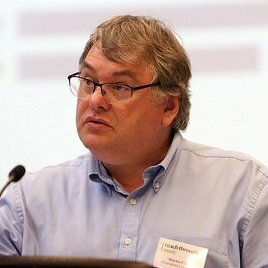 He has written ten books, published over fifty papers, articles, and book chapters, and presented over one hundred conference papers, research presentations, and keynote addresses on his work. “I was thrilled to be invited to be the first Patron of Music Mark and which I accept with delight. It is a privilege to be a part of this new organisation which builds upon the illustrious pasts of the Federation of Music Services and the National Association of Music Educators and looks forward with vision, ambition and a huge range of talent and skill amongst its membership. A great music education, up-close and personal, is not a luxury for the few, it’s a birth-right for all! Whether its an opportunity to play a musical instrument or sing or compose or improvise or play in a band or an orchestra (or hopefully all of those and more) music is sovereign amongst all subjects in being able to spark young people’s imagination, unleash their creativity, stimulate their social conscience and galvanise their sense of community and belonging. 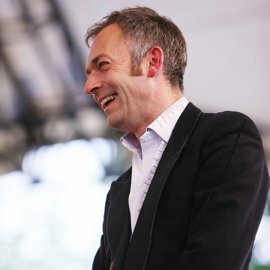 British conductor Charles Hazlewood occupies a unique position in musical life. His fresh performances of classical music shake up the traditional settings of the form — in one he’ll engage in a conversation with the audience, while in another he’ll blend film or sculpture into a piece – but his goal is always the same: exposing the deep, always-modern joy of orchestral music. He conducts some of the world’s great orchestras, has had a sell-out show in the West End, won the Berlin Film Festival Golden Bear with his South African opera company, has collaborated with some of the top names in the pop music industry, has authored and presented music on BBC television and radio, established the first orchestral alternative to Glastonbury festival and founded the world’s first paraorchestra. His primary and tireless mission is to bring orchestral music alive for a new audience.